This always seems like a good idea. Bring in another 20 developers the Business Stakeholders will shout, and theyll deliver the work in half the time. Unfortunately it doesnt quite work like that in practice. In all phases of the Project Lifecycle there are a finite amount of resources who can do the work in the most effective way. Once that level has been reached, you can throw more resources at the problem, but each additional one will have a decreasing effect on the end result. If you have 50 developers coding then adding another 5 might help progress. However do you think adding another 25 developers will make a huge different? Of course not. The reason being because developing code is not a resourcing numbers game. In fact its more about the quality of the developer than the quantity of them. In all cases, except for the most mundane software development (think batch file uploads), it is far better to have one top notch developer who writes, clean bug free code, than 5 who write code which it will take much longer to fix. A further complication is that getting the right additional resources at the right time is often extremely difficult. Its not just a question of picking up the phone and calling a recruiter or putting up a few ads on a recruitment website. Getting good people in is always difficult, coupled with the fact you have to ensure that whoever you bring in doesnt upset the current team dynamic you have built up. Unless of course you think the current team needs shaking up! Further think of the effort involved in sifting through resumes / cv's, scheduling in interviews, organising a technical test and finally offering someone a job, at which stage after all that effort you have to hope they actually take it! And this doesn't even include the time taken to bring them up to speed with the project and company ethos. This isnt just a drain on your time but also on your teams time as you will need at least of them involved. Admittedly you could just go to a 3rd party provider and hire a team from them in bulk, but not only would they be much more expensive (and so blow your budget to Mars), but once these consultancies get a foot in the door it can be extremely hard to shift them which might not go down well with internal staff. Another way is to try to poach more qualified resources off other projects. This is always fraught with danger unless the correct approach is taken. Never formally approach a resource working on another project direct. Try the informal approach first to see what their workload is like, and how interested they are in that project. If you get a positive approach then make a formal request through both the PMO and also through your Business Stakeholder. Emphasise to both why you need the resource, and the outcome if you dont get them. It might take longer to get the resource, but by going this way you can then say to your fellow Project Managers that it wasnt your decision and you can save face in this way. Google in fact used to not directly manage any of their resources who were therefore able to work on any project they liked. So for example on the Google Mail project, the Project Manager and Business Stakeholder had to approach all the resources direct, and give them a pitch on why they should work on their project rather than something else. A time consuming exercise certainly and not one which would work in many places, but it certainly shows that being a good Project Manager requires Sales ability as well as the powers of persuasion! By the way having recently had a chat with a Project Manager at Google, they appear to have finally seen the light and now resources are managed much more tightly. Im sure that this has nothing to do with the fact they are now a public company with competitors snapping at their heels! 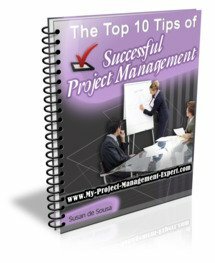 Usually within a project one has three parameters which can be manipulated to ease the Project delivery. Of these, requesting more budget is usually the easiest, followed by asking for more time. Additional resourcing is often the hardest in a short time frame unless you get lucky and resources are rolling off another project who you can grab. Just remember that whatever you do, your actions will have a knock on effect on both Project Scope Management and Project Quality which should be emphasised to the Business Stakeholder or Project Board when decisions are being made on the project.